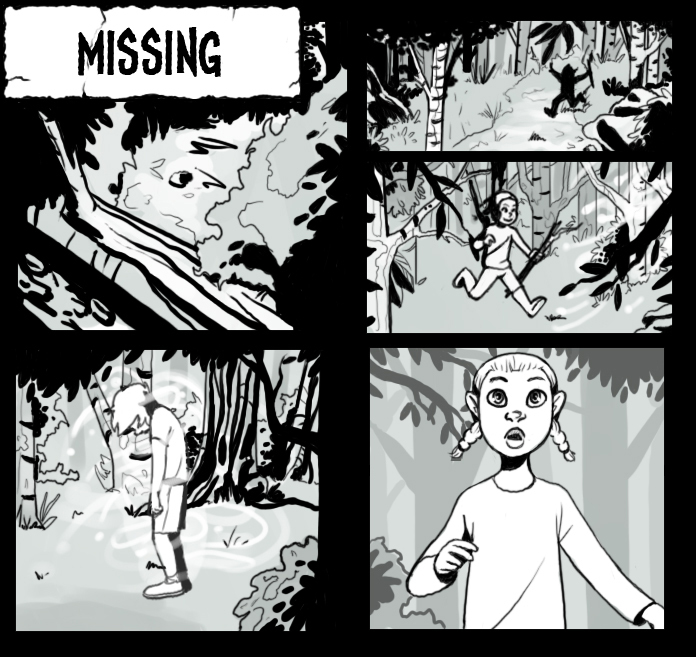 First page of a tiny mini-comic I decided to do called “Missing.” I mostly wanted to do it as a foray into something a little more different than normal. It was definitely a lot of fun to make. I enjoyed getting into the weirder side of things with ghosts and all that, too. It was kind of inspired by the urban legends that often circulated around my neighborhood.